If a physician fails to provide people with the best care possible and to help them recover from illnesses and injuries, and even injures a person in the process, that person may be entitled to financial restitution as a result of negligence. In order to receive compensation for damages and negligence, however, it is necessary to know how one holds a physician or a medical facility liable for engaging in medical malpractice. 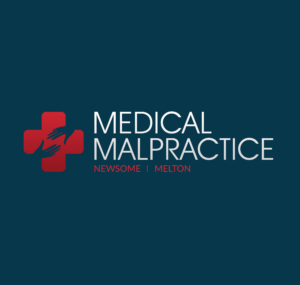 Medical malpractice occurs when a medical facility or physician provides a patient with a level of care that is beneath the expected standard that would have been provided by a reasonable facility or professional. For example, misdiagnosis of a disease or a disorder may be counted as medical malpractice if the diagnosis would have been a correct one had it been made by a reasonable physician. Similarly, operating on the incorrect side of the body can be described as medical malpractice. Alternatively, the prescription of drugs that do not interact well with each other may be considered to be medical malpractice. Not providing necessary and vital follow ups to a patient may count as medical malpractice. Finally, not obtaining an informed level of consent from a patient or warning him or her about the risks involved in a medical procedure may also constitute medical malpractice. In order to hold a physician liable and recover financial compensation for medical malpractice, it will be necessary to file a lawsuit in court for medical malpractice. Such lawsuits are considered to be cases of tort law, which indicates that a number of things must be proven in order for a physician to be held liable. It needs to be proven that a physician breached an expected standard of care and provided treatment that was below what would have been delivered by a reasonable physician. This breach must be proven to have directly led to the injury of the patient in question. Finally, the patient in question must have suffered damages due to the injury described above. In many cases, it is necessary to have expert testimony to prove medical malpractice from a physician occurred, which means experienced and qualified professionals will be needed to convince juries that one’s physician behaved unreasonably and is therefore liable for damages.